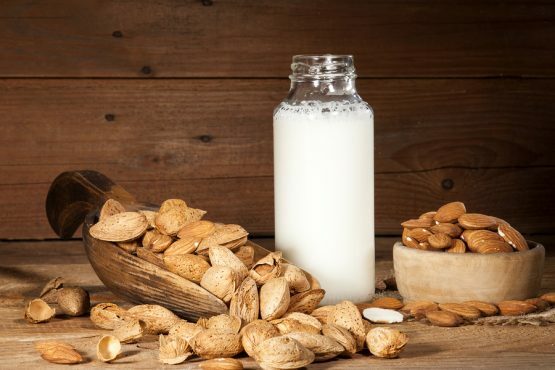 Vote: Should Almond Milk Be Called “Milk”? Ever walk into a grocery store looking for milk and get confused by the variety of beverages labeled as “milk?” From almond to coconut, to soy and even rice — plant-based beverages have no dairy ingredients, but they are still called milk. Now dairy producers and some members of Congress are speaking up, saying that these labels are misleading and are hurting the dairy industry. Legislators are urging the Food and Drug Administration (FDA) to set restrictions, reserving the word “milk” for dairy-only drinks. People who support the use of the term “milk” on dairy substitutes say that these beverages are used the same way as milk and in some cases promote the same health benefits as dairy milk. Therefore, they deserve the label “milk” on the carton. We want to know what you think — should non-dairy beverages be labeled as “milk”? Vote and tell us in the comments your opinion. We will air the results of the poll and some of your comments on the show. It should not be called milk because it is made with WATER.